In recent research, scientists have developed a technique that shows great promise for helping oil palm growers optimise production and reduce environmental impacts. The research, carried out by doctoral candidate Lenaic Pardon, focused on crop yield, nitrous oxide emissions and nitrogen leaching. The findings are published in the latest edition of Field Crops Research. 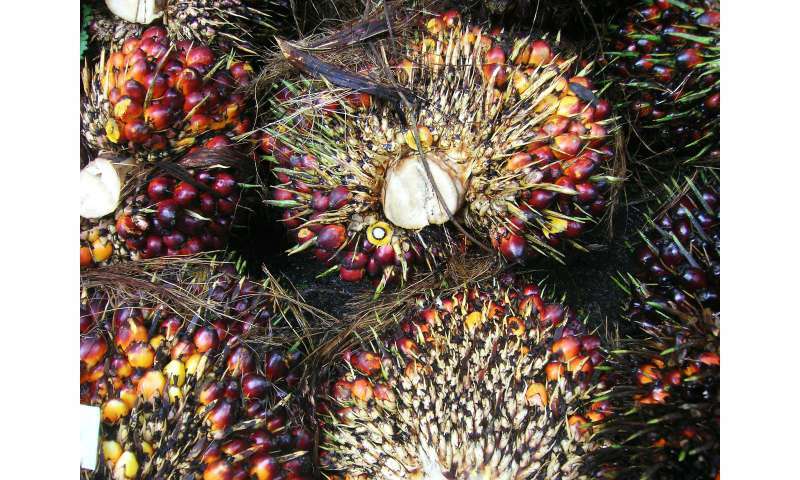 Co-author Associate Professor Paul Nelson of James Cook University said oil palm is an important food crop, meeting about thirty per cent of the global demand for vegetable oil. "This will be a valuable tool and can be used in on-farm decision making. It will give growers information that will help them make decisions that are good for both productivity and the environment." Mr Pardon and his colleagues simulated the impacts of management and site conditions on nitrogen cycling, using data from three plantations. The simulation simultaneously predicted changes in productivity and environmental impacts associated with different cropping practices, such as fertiliser application and sowing of legume cover crops. Dr Nelson said that oil palm is a highly productive source of vegetable oil that can be managed in an environmentally sound way. "We need to keep in mind that producing the same amount of vegetable oil from an alternative crop requires approximately seven times the area of land that oil palm is currently grown on. "Science has an important role to play in improving the productivity and sustainability of tropical agriculture. This research involved a team of scientists from Australia, France, Papua New Guinea and Indonesia who collected and analysed the large amounts of data required. "The technique will be particularly useful for growers of environmentally certified palm oil, which is produced without clearing of primary forests, with transparent and fair agreements with landowners and good land management practices."